Blood Alley Bitter is an Extra Special Bitter named after a notorious cobblestone laneway in Vancouver’s Gastown district. At 50 IBU’s this beer is slightly higher in bitterness than the average ESB but it is well-balanced by the rich, roasted malt flavours. Stylistically, the malt side is very English, but the hops are all floral US varieties. Brewed with only the best including: 2-row Pilsner malt, Flaked Barley, UK Crystal Malt, and a touch of UK Chocolate Malt. We use Columbus hops in the brew kettle, and dry hop with Cascade and Willamette.  PART OF THE RUSSELL BREWMASTER SERIES – a succession of small-batch beers crafted for an unconventional beer drinker.